Add Coast National Sales to your favorite stores and receive our exclusive emails about new items and special promotions! 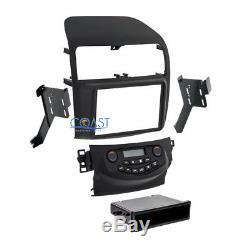 Car Stereo Single Double Install Dash Kit Headunits. Made for 2004 - 2008 Acura TSX (without Nav) vehicles. Electronics integrate with manual auto climate and dual zone climate systems. Includes a storage pocket below the radio for single DIN mounting. Accommodates ISO Single DIN mount. Designed and manufactured with precision tolerances. Steering wheel control integration requires Axxess-ASWC-1 Module. 2004 - 2008 TSX (Non Navigation Models Only). Note: Factory clock and cabin temperature display at the top of the dash will be lost. The new radio will have a clock on the radio display, and the new Metra climate control display will show the temperature information. Steering audio controls will no longer work- additional adapter required. Return for replacement within: 14 days. We are not responsible for any excess charges. Local pick-up is available by appointment only, please inquire for more information. Powered by Solid Commerce The All-in-One Listing, Inventory & Order Management Solution. 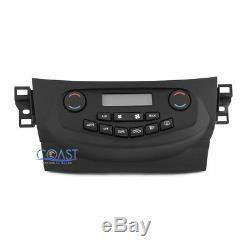 The item "Car Radio Stereo Single Double Din Dash Kit for 2004-2008 Acura TSX without Nav" is in sale since Thursday, March 10, 2016. This item is in the category "eBay Motors\Parts & Accessories\Car & Truck Parts\Interior\Dash Parts".